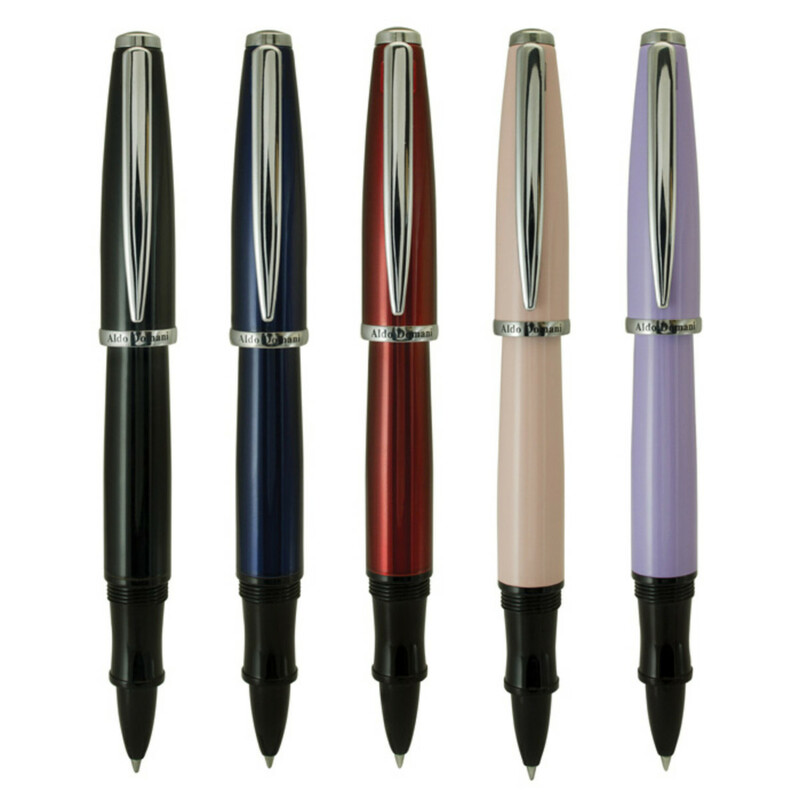 No matter your style, the Monteverde USA Aldo Domani Collection has the pen for you. This line features an array of color finishes that appeal to business executives and working professionals alike. These fine writing instruments are used the world over and are revered for their high level of comfort. The Aldo Domani Rollerball Pen is also available in Ballpoint Pen and Fountain Pen and each are packaged in a presentation box. 5.4" x 0.5" x 0.5"
Imprint size: 1.4"W x 0.3"H on Barrel.